On Super Sunday 2017, PropSwap owners Luke Pergande and Ian Epstein overheard a bettor at the Caesars Palace sports book talking about the $10,000 in futures wagers he had on the Atlanta Falcons to win Super Bowl LI. 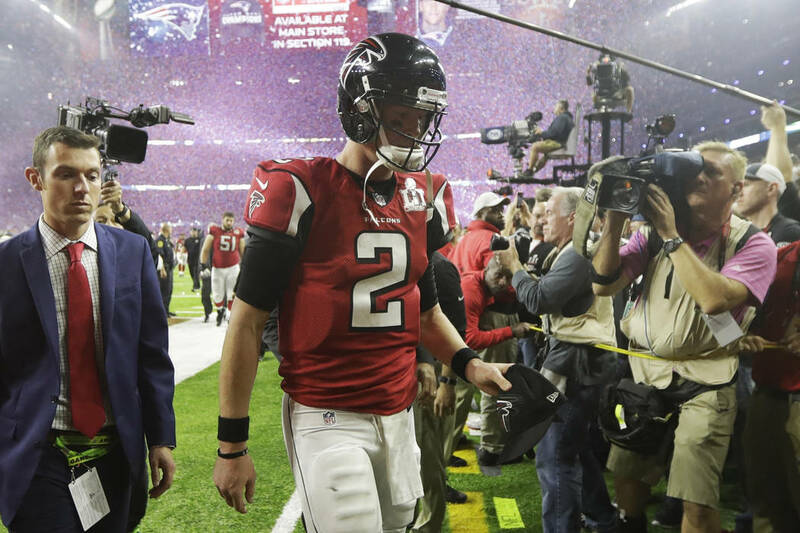 The bettor, in his 20s, stood to win $200,000 if Atlanta beat the New England Patriots and planned to buy his parents a house with his winnings. PropSwap is an online secondary market for active sports bets in the mold of StubHub. After consulting with potential buyers, Pergande and Epstein offered the bettor $75,000 for his wagers. To make their offer more compelling, they literally placed a check for $75,000 in his hand. “He thought about it for a moment. Then he ripped it up,” Epstein said. “He said he wasn’t going to hedge a dime. But he was probably curled up in the fetal position under a table after New England erased a 28-3 second-half deficit en route to a stunning 34-28 overtime win. During the 2016 NBA Finals, when the Warriors were up 3-1 against the Cleveland Cavaliers, a bettor from San Francisco took PropSwap’s advice. He sold his Golden State futures ticket that paid $10,500 for $8,000 and used the money to pay for a trip to the Bahamas that day. He chose wisely, as the Cavs rallied to win the title, rendering his wager worthless. Some transactions end up being a win-win for the buyer and seller. For example, when the 2017 World Series was tied 1-1, a bettor sold his $3,000 futures ticket on the Astros for $13,600 in what was PropSwap’s largest sale. When Houston beat the Dodgers in seven games, the buyer collected $31,000 for a profit of more than $16,000 and the seller still made more than $9,000. PropSwap, a 2015 startup in Las Vegas, doesn’t actually buy the tickets. It provides quotes and enables bettors to buy and sell wagers on their website (PropSwap.com) while taking 10 percent of the sale price as the broker. The idea for the business was hatched in 2013 by Epstein and Pergande, two Chicago natives and University of Arizona graduates. During a trip to Las Vegas before the start of the NFL season, Pergande had placed a futures wager on the Saints at 50-1. When New Orleans’ odds improved to 15-1 after a 6-1 start, Pergande, who was living in San Francisco, called Epstein, who was living in Las Vegas, to find out if there was a way to sell his ticket and lock in a profit. That’s exactly what PropSwap has helped bettors do. Since the startup opened for business in 2015, it has sold sports bets in eight states besides Nevada: New Jersey, Massachusetts, Pennsylvania, Connecticut, Ohio, Indiana, Kentucky and West Virginia. PropSwap sells only bets placed at a legal Nevada sports book. It recommends setting sale prices at around current market value, but all bets are open to bidding, which gives buyers a chance to get better odds than those available at the state’s sports books. While Epstein, 28, and Pergande, 29, still work part time for Postmates to supplement their income, they hope PropSwap will grow exponentially if sports betting is legalized nationwide. “We want to become the StubHub of sports betting,” Epstein said.